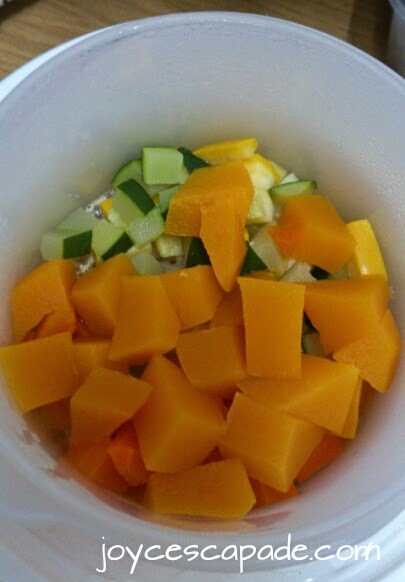 I have introduced fruits and vegetables to my baby since he's six months old. 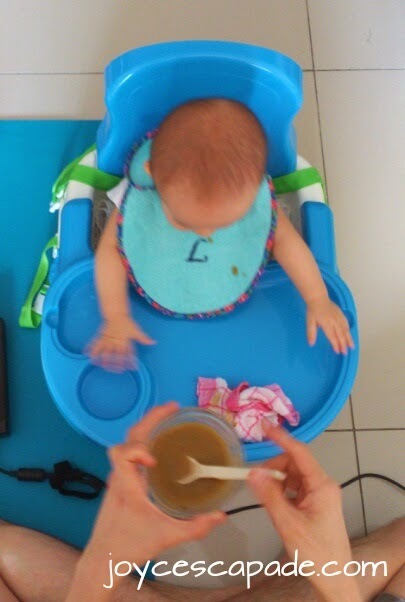 I also make my own homemade baby "Cerelac" by mixing Why Not? 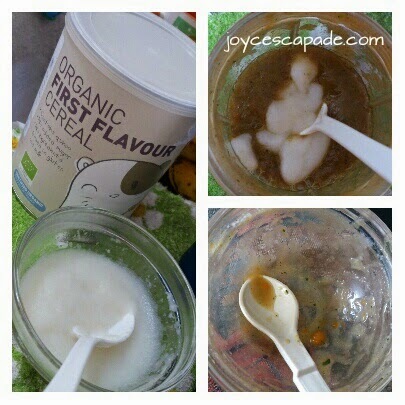 Organic First Flavor Cereal (rice) with vegetable medley purees for him. It's fun! 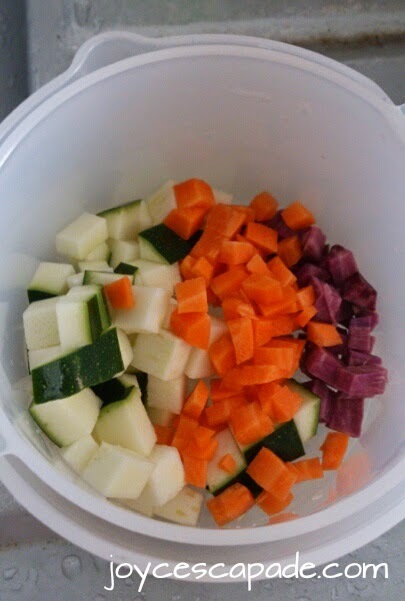 I prepare the rice cereal and the vegetables puree separately. Note: I don't freeze purees because I think he suffers from wind after eating defrosted and re-steamed purees. For the rice cereal, I stir two tablespoons of rice cereal with warm water and set aside. 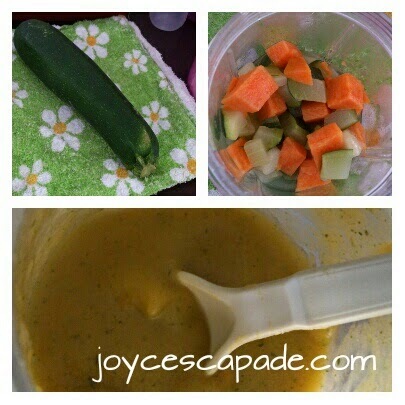 Once the vegetables have been steamed and pureed, I pour the rice cereal into the puree and mix well. Then, I add a teaspoon of virgin coconut oil. Note: Baby is eight months old. I will include more grains into his diet, including brown rice, oats, red lentil, and millet. 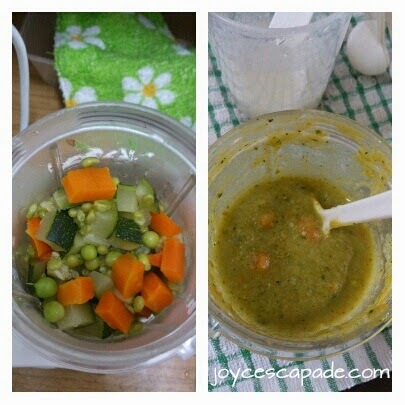 May I know how you prepare food for LO everyday to bring for babysitter? My LO is six months old now. He doesn't like frozen puree. What can I do?